New Nonconnah M.B.Church - Rev. Dr. Clennon Saulsberry, Sr.
Dr. Clennon Saulsberry Sr. was born in Nesbit, MS, then moved to Shelby County at the age of eight. Where he grew up in Whitehaven and graduated from Geeter High School in 1959. After graduating from high school he further his education and received several degrees. He received his Bachelor of Science Degree from Friends International Christian University in Los Angeles, CA, a Master of Science Degree in Theology from the Tennessee School of Religion, and a Doctorate of Theology from Jacksonville Theological Seminary, in Jacksonville, FL. During the Vietnam conflict Dr. Saulsberry joined the United States Army and received an honorable discharge. Dr. Saulsberry is married to First Lady Ruby Nell Meeks-Saulsberry, they recently celebrated their 55th wedding anniversary. And to this union they have four beautiful children, two sons and two daughters. They both instilled the value of education and hard work in their children. And from their belief in education, and hard work, has resulted in all of their children to receive their Master’s Degree. They are also proud grandparents of twelve grandchildren. Dr. Saulsberry is dedicated to the development of youth in his community. In 1978 he won the National Public Service Award. This award was given to members of the community who gave of their time unselfishly, to better their communities. He has also served as President of Community Day Care, Title 20 Board of Directors, and Vice President of the Jesse Mahan Day Care Board of Directors. He is a long standing board member for the Girl Scouts of America. Dr. Saulsberry is one of the pioneers of integration in the workplace in Memphis, Tennessee. In 1966, he was one of the first African Americans on staff in the personnel office of International Harvester Corporation. In 1967 he was one of the first African Americans hired as a coach operator for the Greyhound Bus Company in Memphis, TN. In 1968 he became one of the first African American to be hired at a major insurance company called “The Prudential Insurance Company of America.” During his 37 year career with Prudential he was a sales manager, and the manager and member, of the Prudential Million Dollar Roundtable. Dr. Saulsberry (now retired), owned and operated the Saulsberry Insurance Agency for 24 years. He is the Senior Pastor of New Nonconnah Missionary Baptist Church in Whitehaven, where he has served for 25 years. 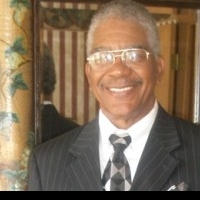 He was the former pastor of Jerusalem Baptist Church for 12 years. Today, Dr. Saulsberry is the Dean of the Memphis Baptist Ministerial Association and has served as the Moderator for the Whitehaven District Association, the Moderator for the Baptist Missionary and the Education Convention of Tennessee. Currently he serves as the President for the Whitehaven District Association and as Home Mission Board Member at large for the National Baptist Convention, USA, Inc. He is an instructor for the Memphis District Congress of Christian Education and serves as a professor for the Jacksonville Theological Seminary. Dr. Saulsberry is the President and CEO of Saulsberry Ministries, Inc. a nonprofit organization that holds seminars for Healthy and Prosperous Living. He also serves as a faculty member of the National Baptist Congress of Christian Education. Bachelor of Science Degree - Friends International Christian University, Los Angeles, CA. Currently a Home Mission Board Member at large for National Baptist Convention, USA, Inc.